The Mini Malibu 8'5" - Goosebay Sawmill and Lumber, Inc. 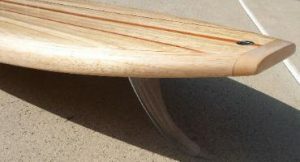 The Mini Mal Classic mini Malibu style longboard with its roots in the 60s. Build it with modern rail profile for a great performer or stick with the traditional 50/50 rails for that sweet paddling nostalgic feel. The Mini Mal is a perfect starter board for the younger surfers but is also fun for the experienced rider and makes a great transitional board.